It is the year 2013. The car dealer Manolis Lefteris lives in Munich. In addition to his official duties, he also carries out the dubious duties of a lawyer. When he gets the job of finding old files, it seems to become a routine job. Because the records are in the possession of an old lady in a coma. In the course of his research, he encounters Vera Mändler, a journalist and niece of the aging Signora. During this assignment they come across a family secret of the highest explosive power and Lefteris has to make a decision.. The family history begins in 1944 with Kathrin Mändler. The young, enthusiastic nurse works in a psychiatric hospital where she meets the charismatic doctor Karl Landmann. She’s immediately attracted to him. 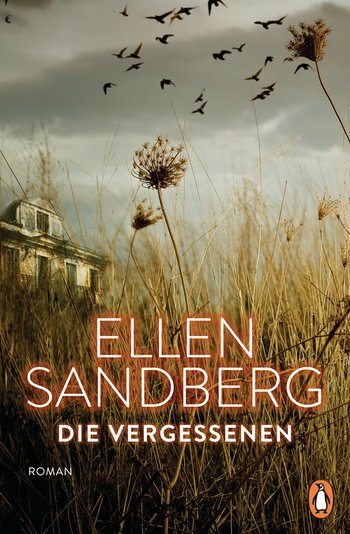 When she recognises Landmann’s attitude to “unworthy life” and realises that its work threatens many human lives – including her own – it is almost too late. The captivating story of several generations. “The Forgotten” tells the dramatic story of a family and is at the same time a well-made thriller. Because morality, justice and law are the common themes. In a very impressive way it is shown how war crimes can affect a family over generations. The novel shows how individuals deal with responsibility and guilt or how they keep silent full of shame. The author skilfully depicts the dichotomy between the characters and how they perceive the inner conflict between action and reason. In addition, the story takes place amidst the mills of justice and their undermining. The novel refers to how former Nazi criminals are dealt with – they continue to carry out their duties without being called to account. That’s why this book, like the psychologically exciting novels by Joy Fielding, can’t be put out of hand so quickly. If you’re looking for more of the author’s books, then the novel “The Betrayal” is a good idea. The novels published under the name Inge Löhnig, such as “Gedenke mein”, “Sieh nichts Böses” or “Scherbenparadies” are also worth a reading recommendation. « How do polls on elections actually come about (Sunday question)?